This story goes back over 20 years ago. 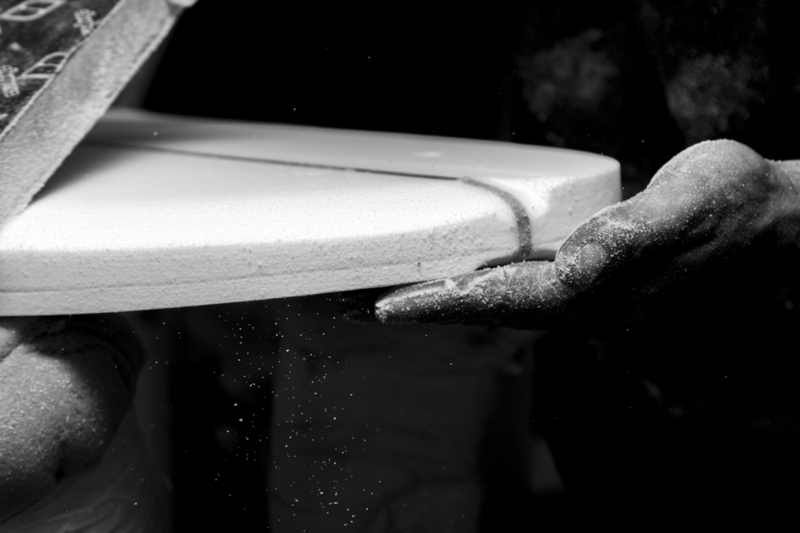 It all began with a first attempt to build a surfboard. 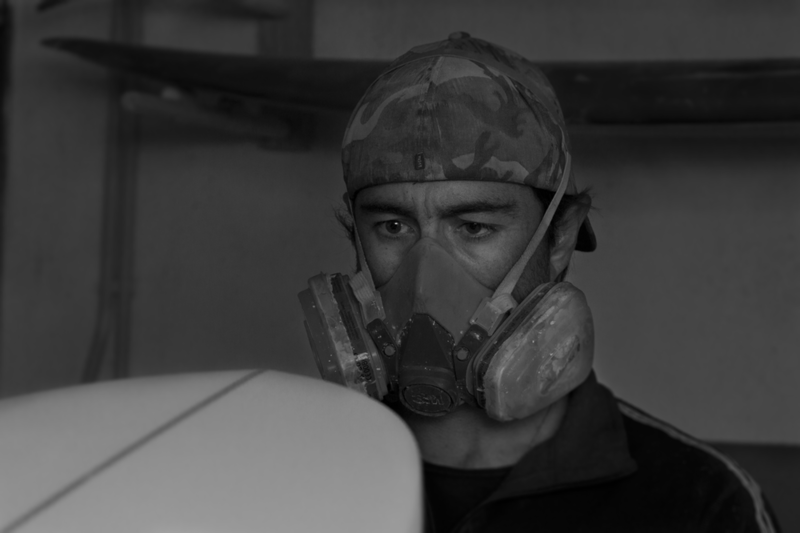 In his garage, in the house where he lived with his mother, Edgar Billy Bento – better known as Billy – had his first experience in shaping a surfboard using only two chairs with pillows to balance the blank. Having spent most of his childhood weekends with his grandfather he inherited the interest for handcrafting and was taught all there was to know about tools and gadgets. Esta história começa há mais de 20 anos com a primeira tentativa de fazer uma prancha. Foi na garagem de casa, onde vivia com a mãe, que o Billy teve a sua primeira experiência na arte de fazer uma prancha. Podia ter corrido melhor, mas o primeiro passo estava dado. Numa “infância dividida” absorveu, do avô, o gosto pelos trabalhos artesanais, as ferramentas e “engenhocas”. Da mãe herdou o gosto pelo mar e conheceu o Baleal, em Peniche, onde hoje se sente em casa. Os anos foram passando e a ligação com o mar foi ficando mais forte. O trabalho manual cada vez mais apurado permitiu-lhe aventurar-se e “tentar criar em vez de comprar”. He started by teaching others how to swim and his students eventually convinced him to teach them how to surf, knowing he would gladly accept the challenge for the fun of it. What began as a playful experience then became a career opportunity. Therefore Billy opened a surf school where he taught kids not only how to stand in a board riding a wave, but also the true spirit of surf. His enthusiasm grew and so did his responsibilities when later he decided to work in a surf camp. When you have a dream and life gives you hope, it is difficult to stop thinking about it and there’s nothing strong enough to push you away from the idea of conquering what you wish. Billy feels he’s in the right path now and as time passes his connection to the sea gets stronger. His handcrafting skills get better and what began in his home garage is now his lifestyle, his passion, his purpose in life. A vida começou a mostrar ao Billy que o seu caminho passaria por aqui. O mergulho foi outro elemento que entrou na sua vida e abriu portas para aquilo que viria a ser preponderante mais tarde. Sendo surfista e dando aulas de natação, os seus alunos convenceram o professor a dar-lhes uma aula de surf. Desafio que foi aceite numa lógica de brincadeira, convívio e diversão. Brincadeira que se tornou séria ao criar uma escola de surf onde dava aulas aos mais pequenos. O gosto pelo ensino foi crescendo e as responsabilidades também quando passou a integrar um surf camp. Mas quando se tem um sonho, e quando a vida nos dá esperança, é difícil deixar de pensar no assunto e não há nada que nos afaste da ideia de conseguir concretizar aquilo que nos move. One day there was a kid who tried to build a surfboard. In between several adventures and challenges, he never gave up on his dream. This is Billy. This is his story. Um dia um miúdo tentou fazer uma prancha. Entre aventuras e desafios, nunca desistiu de concretizar o seu sonho. Este é o Billy. Esta é a sua história.